Launch of Apple Pay in Japan Boosts User Numbers for Mobile Suica, but Most Transactions Still Use Cards | NFC Times – Near Field Communication and all contactless technology. 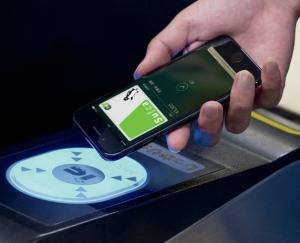 Support for the Mobile Suica transit ticketing and retail e-money service by Apple Pay has substantially increased numbers of users for the Mobile Suica service, transit operator and Suica owner JR East said. Tomohiko Umekawa, deputy general manager in the Suica IT and business development department for Tokyo-based commuter rail operator JR East, speaking today at the Transport Payments Asia Pacific conference in Hanoi, Vietnam, organized by APSCA, said that as of April there were just under 5.7 million users of Mobile Suica. That is up from around 3.8 million users in October 2016, when Apple Pay launched featuring Suica. Mobile Suica has been available on other smartphones, known as Japanese contactless-wallet phones, or Osaifu-Keitai, for more than 12 years. Article has about 840 words.